Thomas Seigler is a student veteran works at the Veterans and Military Students Success Center at USC Aiken. 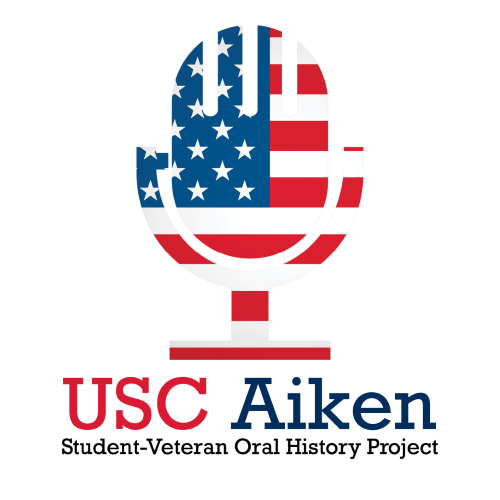 The Interviewer is also a student at USC Aiken enrolled in the Honors 101 course on Oral History. The interview begins with Seigler’s childhood in North Augusta and how he moved a lot when he was younger, to his enlistment in the Marine Corps, boot camp, his career in the military, the medical issues that forces him forced to leave the Corps, and his return to college at USC Aiken to study in Nursing to be a Nurse Anesthetist.